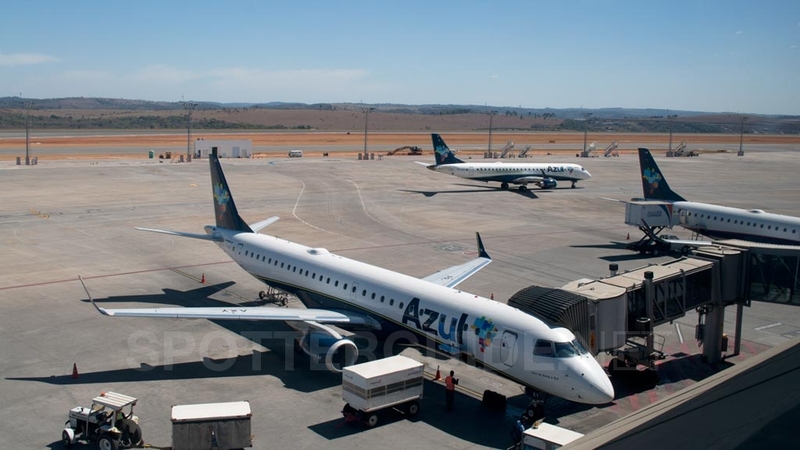 Belo Horizonte-Confins “Tancredo Neves” Intl Airport (CNF/SBCF) is the largest airport in the state of Minas Gerais, serving its capital city Belo Horizonte. 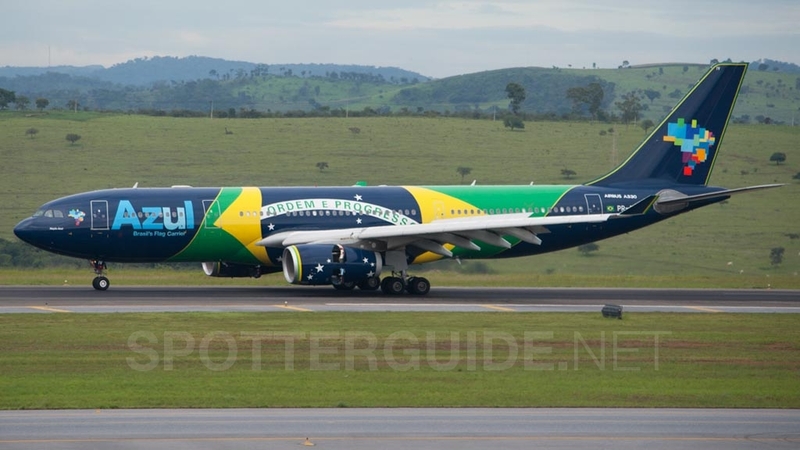 In 2017, around 10 million passengers passed through the airport, it’s the main gateway to the state of Minas Gerais with a mix of international, domestic and regional flights due to the strategic location of Belo Horizonte city in Brazil (6th largest city and located between the 3 biggest). 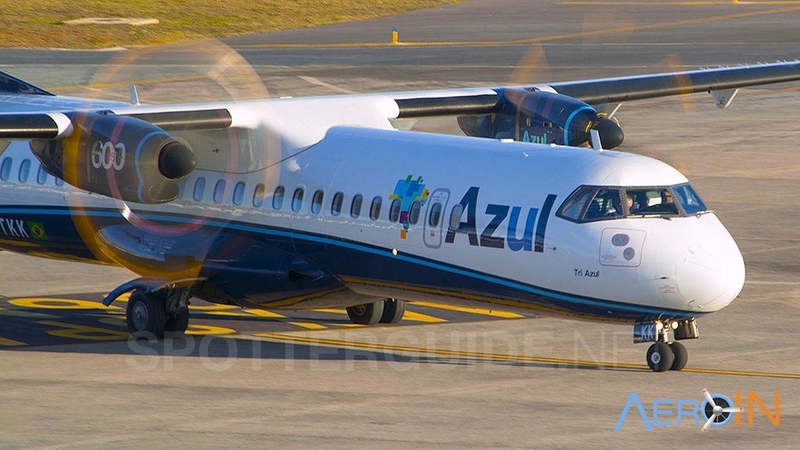 It’s a 2nd hub for Azul Airlines, but have also have a big presence of GOL, LATAM and few flights of Avianca Brazil. 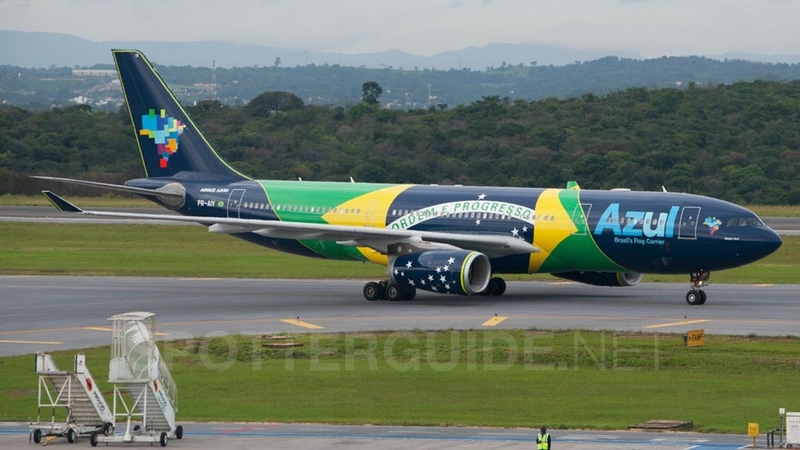 For International flights it’s served by TAP Air Portugal with 6x weekly flights to Lisbon flying the A330-200/300/900neo, Copa Airlines daily with the 737-800 and Azul to Orlando 4x time a week with the A330-200/900neo and daily to Buenos Aires with the A320neo. But since 2015 the airport was “selected” to be the port of entry for any new/imported aircraft and also the port of leave for airplanes that was sold to foreigner airlines. So all the airlines make CNF as the final destination of the delivery flights and the first point of the returning to lessor flights. Besides are not regular, depending of the airline orders/deliveries scheduled you can see some brand new A320neo, 737 MAX, A350 and A330neo. The airport also have the GOL MRO’s installations (3 big hangars nearby 34 runway), but that don’t change the overall traffic of airport. 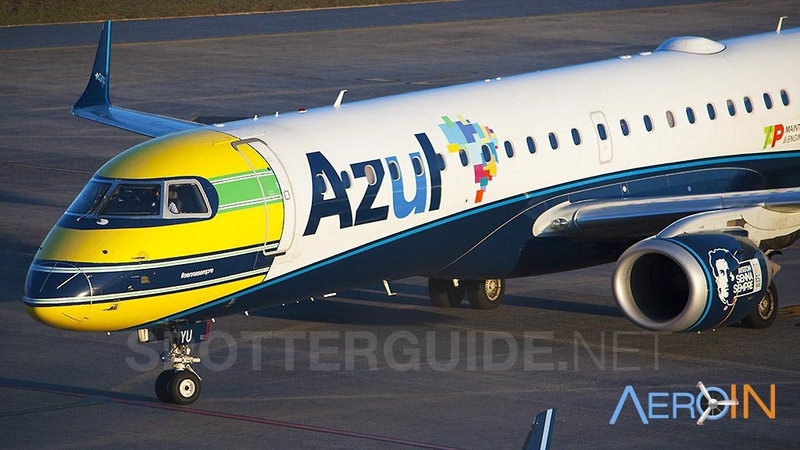 Since it’s a huge Azul hub, you can go there anytime and 100% sure you will get at least one special livery. Spotting Informations Ladder Not needed here. Car Only useful to get to the dirt hill up north. Restrooms Inside the airport facilities. Drinks/Food There are a few shops and restaurants in the terminals. Hotels The LINX hotel is located on the other side of the freeway, but there are many other (and cheaper) hotels in the vicinity of the airport, which also offer shuttle service free of charge. However, it is suggested to stay at a hotel in the city as otherwise there is not much do nearby the airport. It’s about a 40km/40min car ride to the city center. Season April – September. During the winter months the light is most favorable as it rarely rains and the sky is mostly clear then. Spotters should not run into any problems here, neither with criminals nor the police or other security services. Except for a single event, where parts of a spotter’s equipment got stolen at the Dirt Hill (spot #2), there haven’t been any other criminal activities reported, so the described spotting locations can be considered fairly safe for spotters. Runway Usage 16/34 Most of the time runway 16 is in use, usage of runway 34 normally means bad weather ahead. WHERE This spot is located on the 3rd floor of the airport (named as 2nd floor on the elevators and signs). To get there just get the elevator or escalators to the floor above the departure level entrance following the signs. Back in the past used to be open air and covering all the terminal 1, but since the airport went to the control of Zurich Airports around 80% of the space became offices. The space left it’s above GOL and Avianca check-ins (Check-In 1). By car: Just take the MG-10 highway towards the airport (named Linha Verde). From downtown you can take a taxi from R$120 or an Uber from R$70. Trip takes around 40min. By public transportation: have buses every 15 or 30min from the Bus Terminal at Downtown (Rodoviária) and also from Alvares Cabral Terminal (south part of downtown). The bus fare from Bus Terminal is R$14 (USD4) and R$29 (USD8) from Alvares Cabral, but this one run with a/c and free-wifi. Price as 2019 and trip takes around 1 hour. 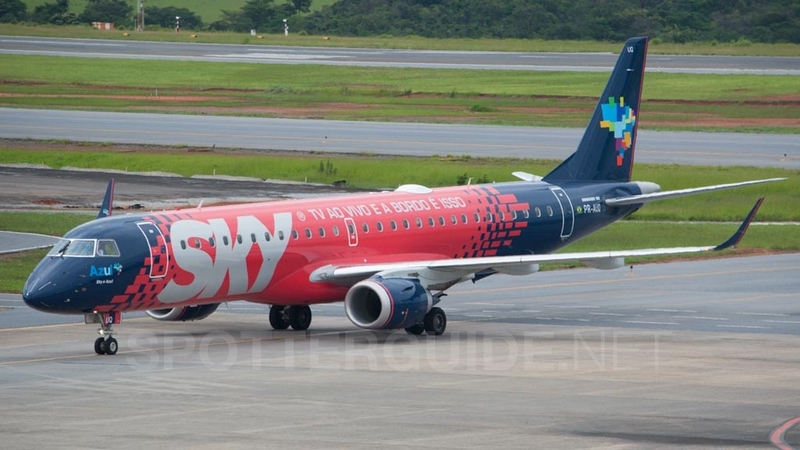 Additionally, have buses run from metro area cities such as Contagem, Betim and Nova Lima. WHAT Good (but limited) view of the apron, main taxiway (alpha) and runway. Also aircraft getting into taxiway foxtrot and turning into gates 1 to 3. TIME Shortly after sunrise till late midday. MISC. This spot is located LANDSIDE, so BEFORE SECURITY CHECK and can be reached WITHOUT VALID BOARDING PASS as well but it is behind glass. Everything nearby like restrooms and stores. 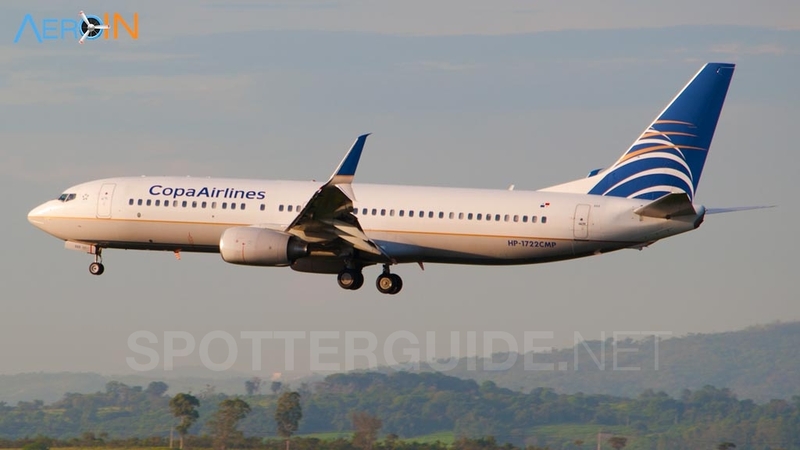 Be aware of light poles if you want to take a pic of aircraft on taxiway or runway. WHERE This spot is located between the two ways of the freeway that connects the airport to the small town of Confins (which the airport is named for). Used to be a small hill but was “cuted” to make a u-turn back to the airport. By car: Follow you way to the airport but instead of going right on the Exit 8 to go to the terminal, keep straight towards Confins city and keep on the left lane. When you see an arrow towards left for the u-turn, reduce your speed, get on the dirt road and climb up the small hill as described on the map. Park you car high as possible and find your point to spot. There’s no way to get there by public transportation. You can go walking but it’s dangerous and pretty far. WHAT Good view from the approach of runway 16 and also aircraft holding short. If it’s reverse operations using the runway 34 don’t have a good sight since the airplane will be too high for a good shot. TIME From sunrise till late midday. MISC. It’s a very remote place and besides all those years just had one report of robbery, be aware of your surroundings. Police and security don’t patrol that area and have no place to run. It’s normal to have people on this spot watching the landings and few Uber drivers waiting for a ride, but normally it’s empty. No ladder needed and no facilities for food, drinks or restrooms nearby. I would suggest two other spotter points on the west side of the airport (^grandma^ point and tho other one near Hotel Fazenda Confins).